Weekly Weigh-in, Pre- or Post-Patriotic Holiday Edition (depending on your location)! So whichever part of the Northern American continent* you’re reading this from, enjoy your special day! Whew! Well, I’m still stuck in the ’90s, but at least it’s heading back in the right direction! See you Friday, when I’ll tell you about all the yummy stuff I got to eat on the Fourth of July! Friday Five: It’s already October?? Hi, everyone! Time once again for my “Friday Five” – here we go! And by the way, you can still read Hank’s Blog, “Hank Talkin’,” here at WordPress! 2. Walking is great exercise. It’s fun, it’s relaxing, it’s good for your joints, it’s mildly calorie-burning, and you can save gas by walking to the store instead of driving there. So why can’t I make myself go out and walk every day? Huh? Huh? You tell me. 5. Do you have a Trader Joe’s near you? If not, you should seriously consider moving. They have these delicious, juicy Mahi Mahi burgers that are super-easy to prepare, yummy as all get-out, and only 110 calories each! Now, I personally hate the actual experience of SHOPPING there – not to mention parking! For some reason, they always seem to have the WORST parking lots. However, my husband loves it, so I make sure he always has a nice long list. If you’ve got someone in your life you can con — er, I mean, convince! — to shop there for you, make sure those Mahi Mahi burgers are on your list! That’s all, folks! 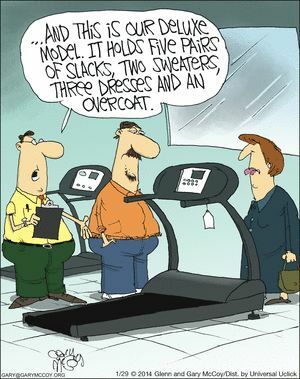 Have a great weekend, and I’ll see you on Monday for the Weekly Weigh-in!